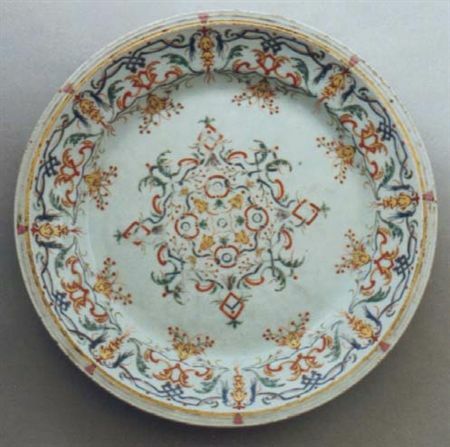 Porcelain was an important part of elite life in Europe since the establishment of a Portuguese sea route to Asia around 1500. Until the beginning of the eighteenth century, methods for producing porcelain were not known outside of East Asia. Throughout the eighteenth century kaolin clay deposits were discovered in various parts of Europe allowing true porcelain to be produced. 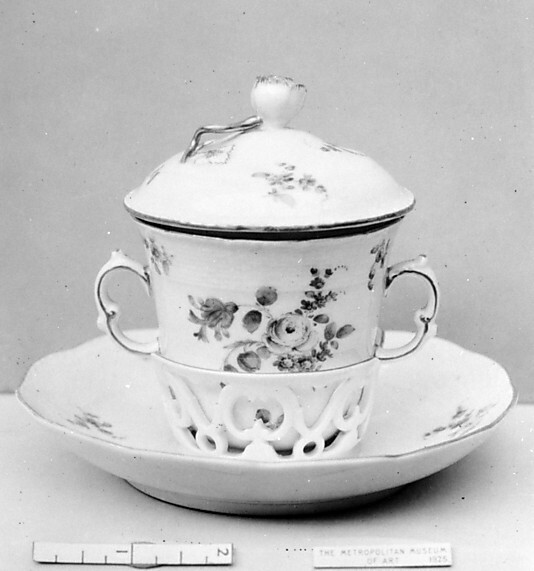 In addition, European ceramicists without access to kaolin perfected methods of producing a close facsimile of porcelain, often referred to as soft-paste porcelain. This type of saucer provides a stable support for the cup. It was first invented in Peru and called a mancerina. The form was created to prevent hot chocolate from spilling. In Europe, the name trembleuse was used.